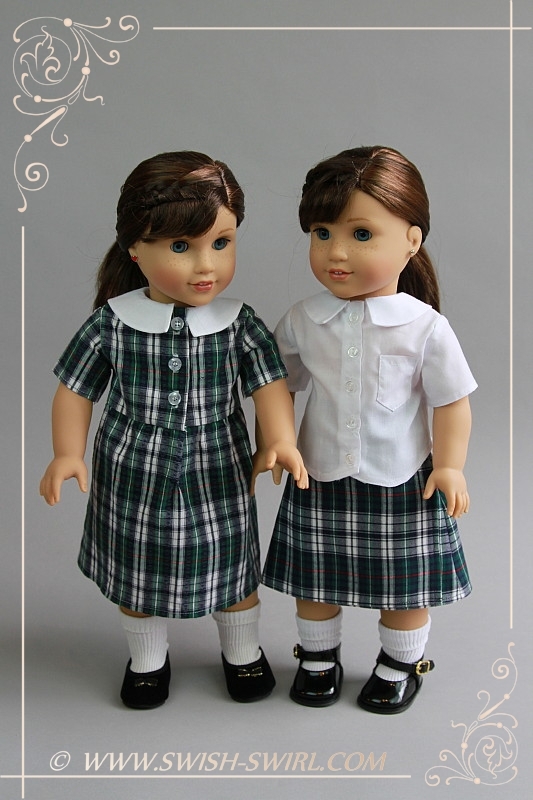 I have recently made a few identical uniforms from our former school in Singapore for my daughters’ dolls. 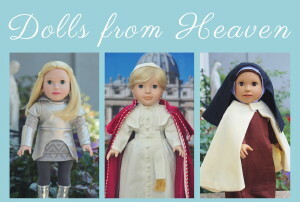 I am happy to announce that I now accept orders for these doll-sized uniforms that fit American Girl and Gotz dolls. 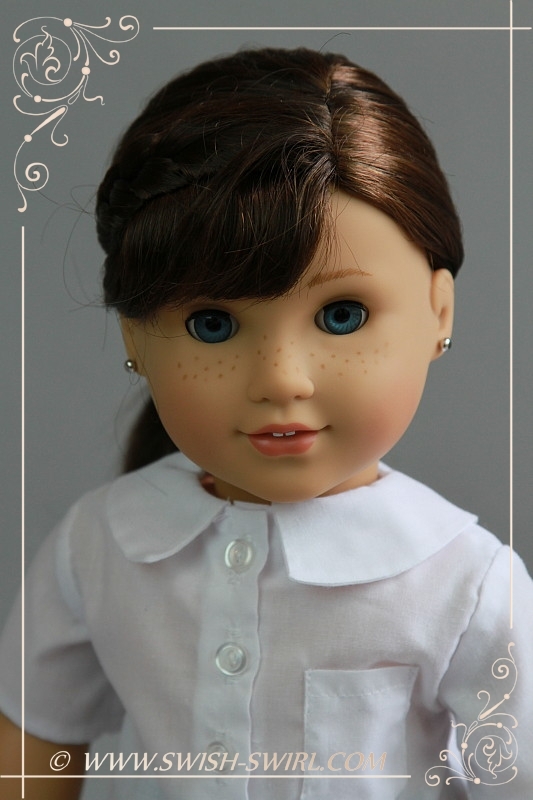 I used to sell these uniforms (made by my friend Ariadne back then) at TTS fairs in 2011-2013 under the Daisy Dolls brand. 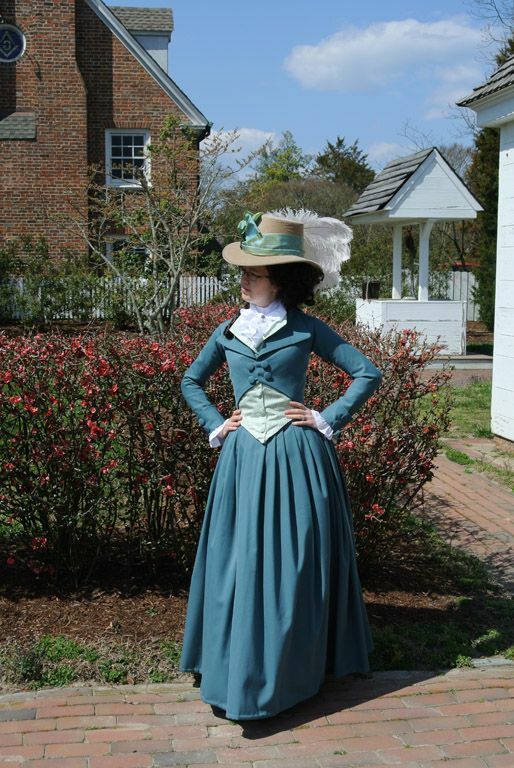 I can now make these uniforms to order. I have listed both of them in my Etsy shop. UPDATE, March 2018: My business has evolved and I do not accept custom orders anymore, including orders for TTS uniforms. I simply don’t have time for it. However, I am planning to release patterns we made for these uniforms as PDF patterns so if someone can sew they would be able to make these themselves. 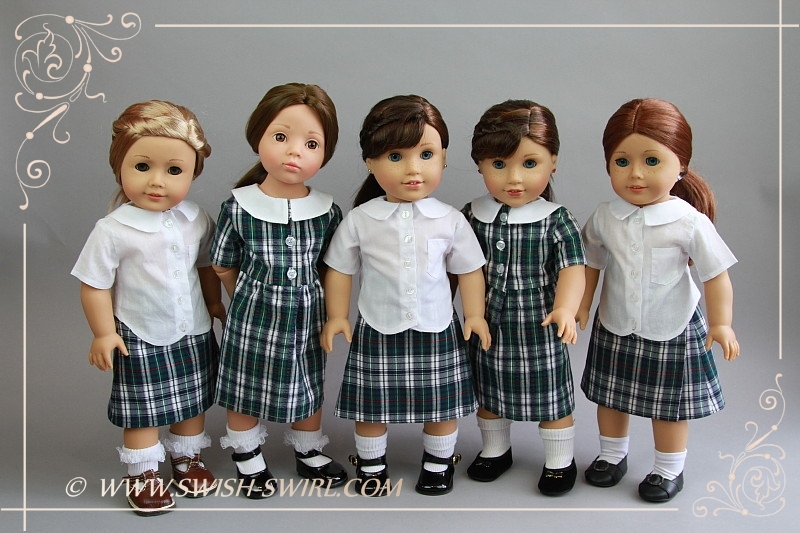 The Junior school uniform will only fit American Girl and similar dolls. 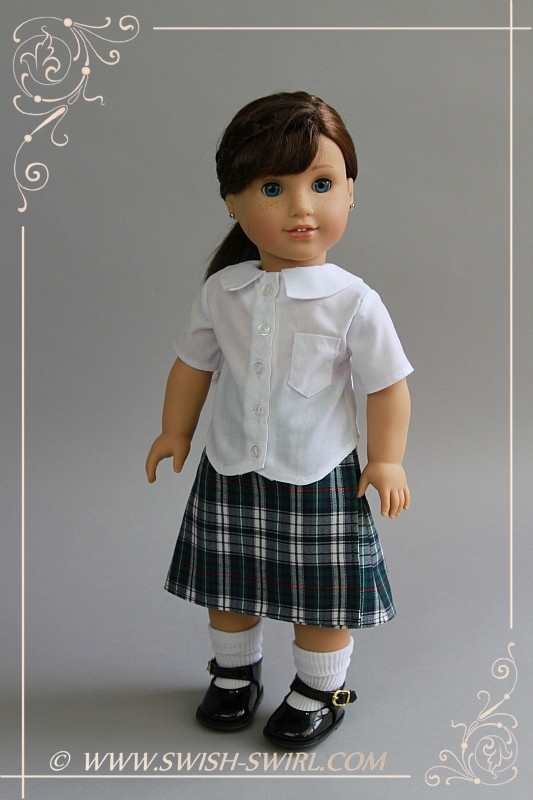 It is made from an upcycled original school skirt (skirt) and new white cotton poplin (blouse). The skirt is a wrap skirt, just like a real school skirt and is fastened with buttons on both sides (one on the inside and one on the outside). 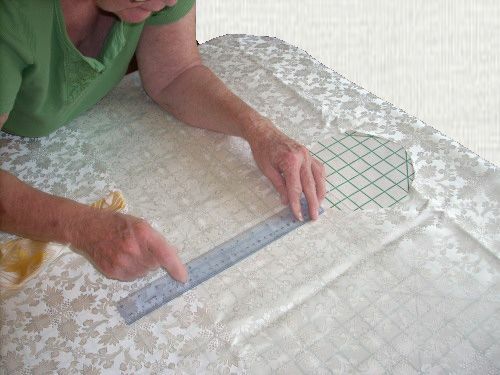 The skirt also has a double elastic fitted at the back for a better fit. The blouse closes at the front with 5 buttons. 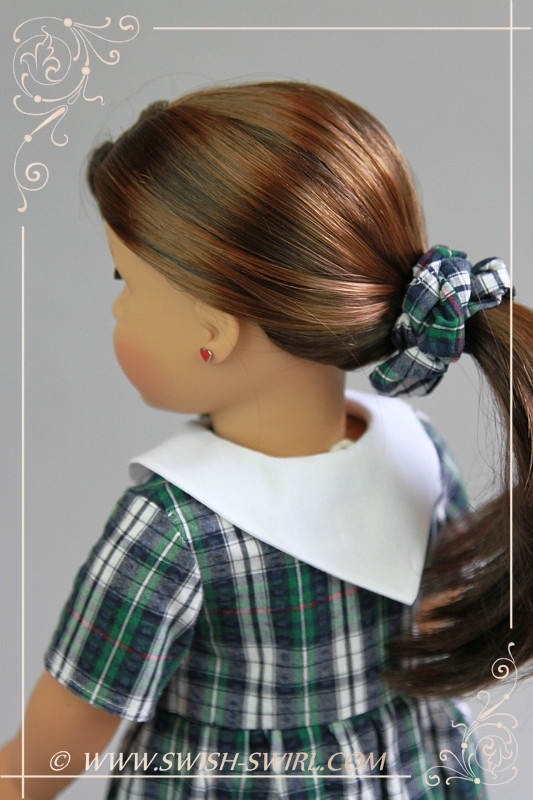 A hair scrunchy made out of an original infant dress completes the uniform. 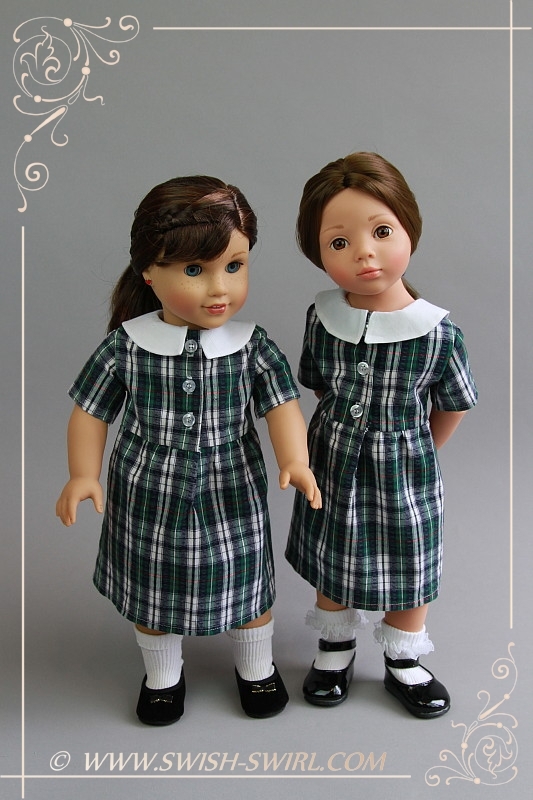 The Infant school uniform fits both American Girl and Gotz dolls. 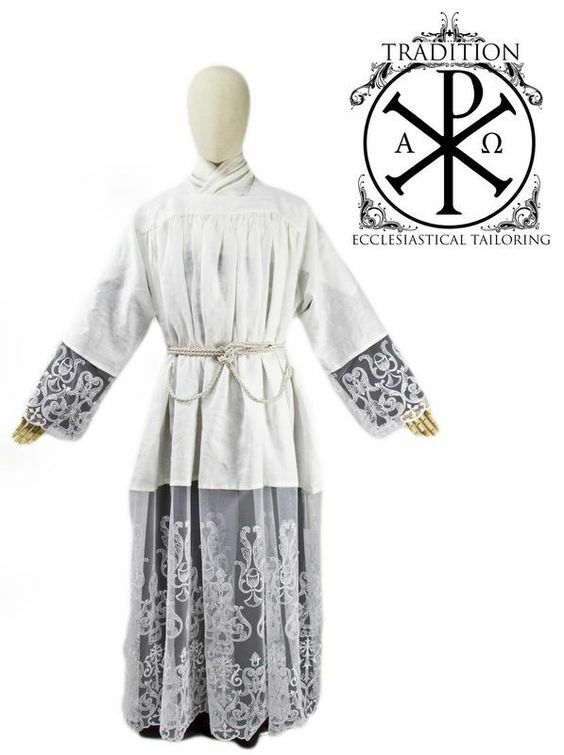 The dress is made from an upcycled original school dress and new white cotton fabric (collar). 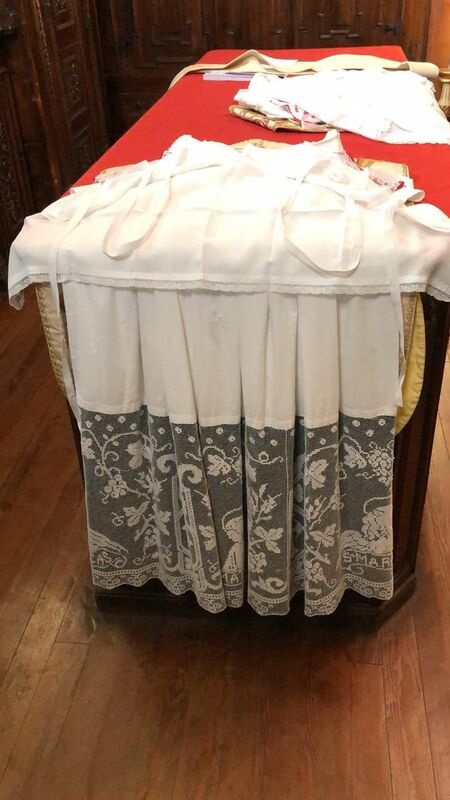 The dress closes at the front with 3 buttons. 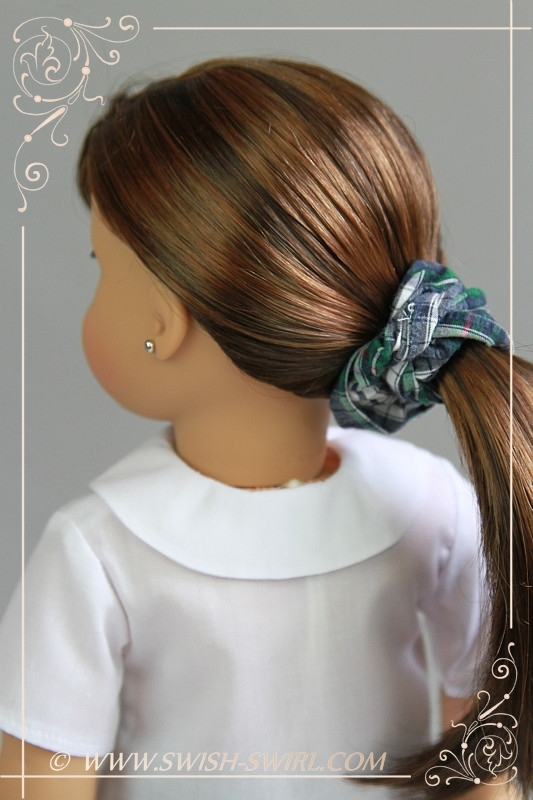 A hair scrunchy made out of an original infant dress completes the uniform. They are lovely. Beautifully made. Thank you so much, Cate! Ну да, я про петли!! Сегодня испортила аж две блузки!! И все из-за петель. Нет, не люблю я пуговицы. По мне, проще вшить молнию. Я имела ввиду закругленный нижний срез. Вот где намучаться можно! Кстати, вспомнила, что первые блузки я шила, когда у меня машинка была с петлей-полуавтоматом, и одна сторона не металась. Ужас! Очень мне нравятся эти формы, так здорово сидят на куколках и отлично смотрятся!!! Леночка, спасибо большое! Я сама просто пищу от этих форм (и очень скучаю по той школе). Оля, восхитительные комплекты! Вот смотрю на Грейс и понимаю- надо заказать, очень хороша! Аня, спасибо большое! Грейс прелестна до умопомрачения. Видишь, у нас даже две их поселилось – так хороши. Правда, искать тебе теперь ее придется на вторичном рынке. Это была девочка прошлого года. How much for the junior school uniform? 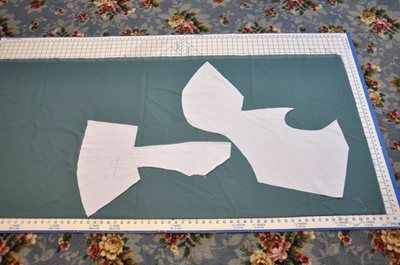 Hello Alison, I am afraid I have moved on since this post and I do not accept custom orders anymore and do not sew for sale in general. I have now updated the post. 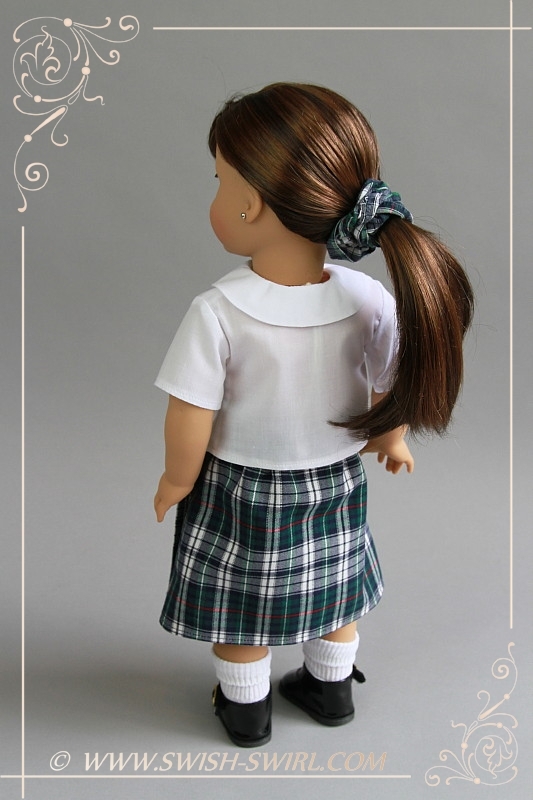 However, since I now make PDF patterns for dolls I am planning to make the patterns we created for these uniforms into PDF patterns and offer them for sale. 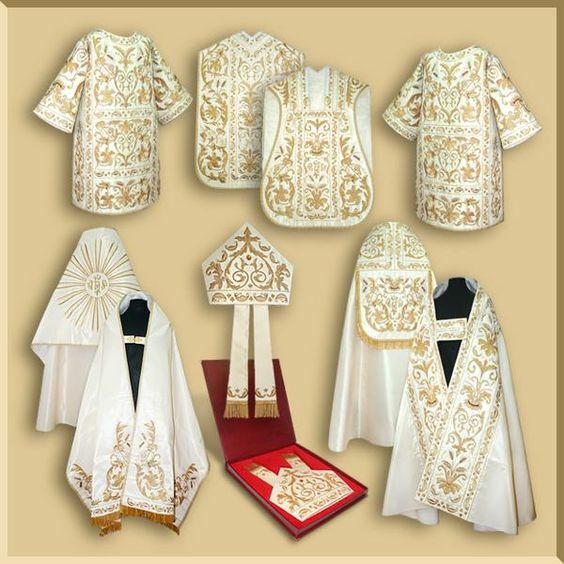 I may even have one uniform for sale then, in case you are still interested. 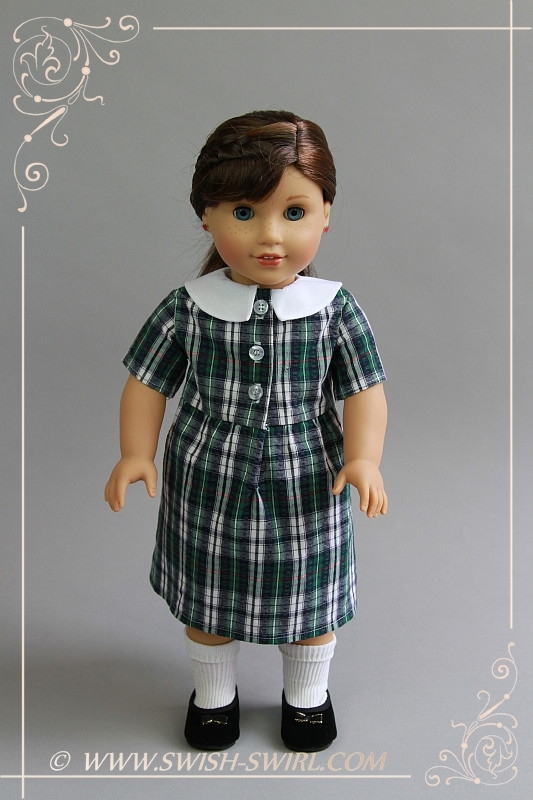 The price was £28 for the Junior uniform and £23 for the Infant dress. 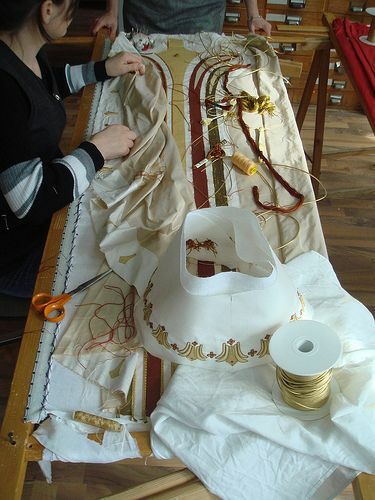 I will try to get to it soon but probably not in the next few months as I am busy with making a few historical patterns which are a priority. 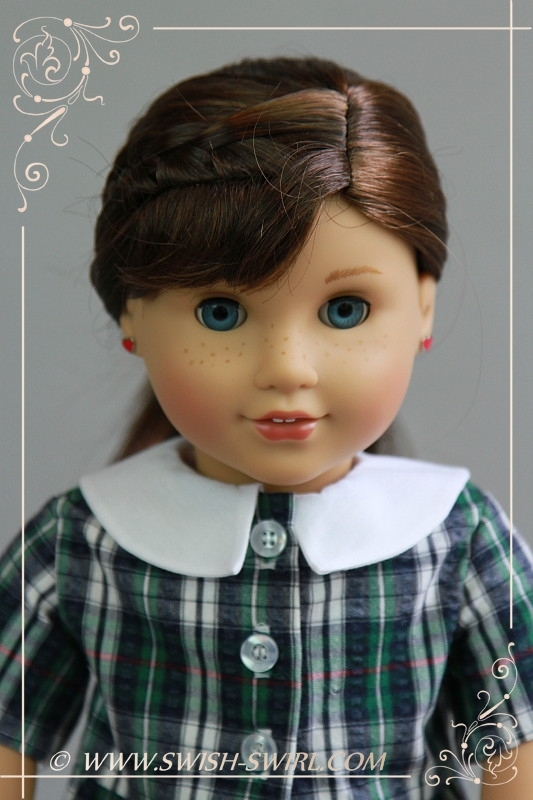 Please could I purchase the PDF pattern for the TTS junior school uniform that you used to make for 18” American girl dolls. Dear Christine, I am afraid, I don’t have it ready yet. 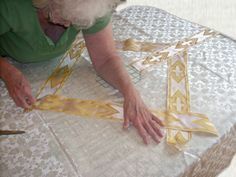 It’s been in my plans but I’ve been busy with other patterns. I will see if I can make it sooner. I will let you know when it is available. Thank you.